Robert Edward 'Bob' Breth, 87, passed away, Friday, December 26, 2014 at Wesley Manor Nursing Home. Funeral services will be held 2:00 p.m. Tuesday, December 30, 2014 at Byrd Funeral Home Chapel with Dr. Hays McKay and Rev. Kyle Gatlin officiating. Burial will follow at Memory Hill Cemetery with Byrd Funeral Home directing. The family will receive friends at the funeral home from 5:30 7:30 on Monday. Mr. Breth was born in Chillicothe, Ohio May 19, 1927. 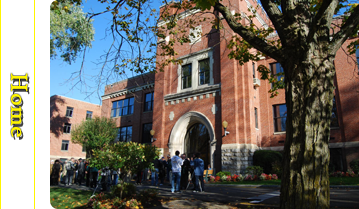 He attended elementary school and the first three years of high school in Chillicothe. 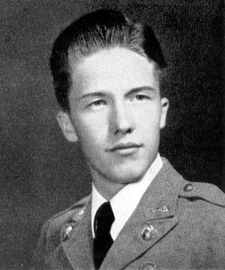 He spent his senior year at Greenbrier Military School in Lewisburg, West Virginia. 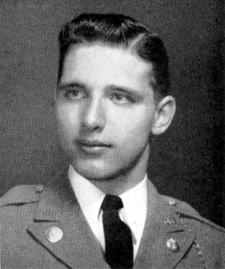 After graduation, he served with the Army Air Corps during WWII. 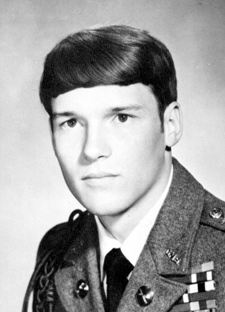 After completing his military service he continued his education at Ohio University. His lifetime career began with S.S. Kresge in management and continued with the creation of K-Mart. He and his family relocated several times with his last transfer opening Dothan's first K-mart in 1973. He remained in Dothan and retired in 1986. He enjoyed NASCAR, wood working, fishing and flying model airplanes. He was also a competitive sharp shooter. 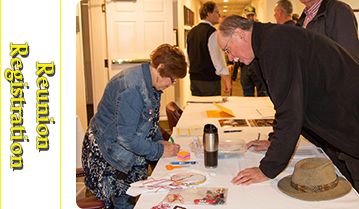 Mr. Breth was a lifetime member of Elks and a member of Kiwanis Golden K. Over the years he was a member of several other organizations and boards. He was a faithful member of Covenant United Methodist Church. 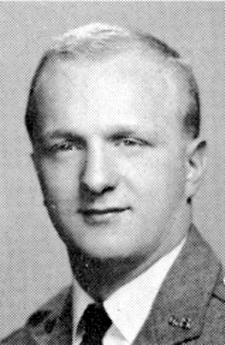 Mr. Breth is predeceased by his parents, Henry and Frances Hathaway Breth, two brothers, Buddy Breth and Don Breth, and a sister, Eleanor Breth. He is also predeceased by his first wife, Betty Lou Carson Breth. He is survived by a daughter, Sara A. Breth Ward (Sally) and her son, Daniel Ward, all of Graceville, FL; two sons, Samuel W. Breth (Sam) of Taylor and Robert E. Breth, Jr. of Dothan and his children, Shaun (Lesa) Breth and family, all of El Paso, TX, Shane (Troy) Breth Wooten and family, all of Manhattan, KA and David (Jill) Breth and family, all of Dothan. He is also survived by his present wife, JoAn Avant Breth and her children Theresa McAlister and her family and Fred Avant and his family, all of Dothan. He also leaves an extended family and many valued friends. The family wishes to thank many supportive friends, the staff of Wesley Manor, especially his caregivers on the Sanders Wing. We also thank Mollie and Lesa from Gentiva Hospice for their thoughtful care. Flowers are being accepted or memorials may be made to the Alzheimer's Resource Center, 1314 Westgate Parkway, Suite 2, Dothan, AL 36301, or Dothan Wiregrass Food Bank, 382 Twitchell Road, Dothan AL 36303, or a charity of your choice. Byrd Funeral Home on West Main Street 334-793-3003 is in charge of arrangements. Condolences may be offered at www.byrdfuneralhome.com. Sign the guest book at www.dothaneagle.com. Word from the Domninca Republica is that Poppy died December 3, 2014. No other details were available. George Alexander Curry passed away peacefully at the age of 94 on November 11, 2014. He was a physician in Morgantown, WV. Wife Mary has informed the Association of Dennis' death on November 4, 2014. An obituary will be sougt and published if available. 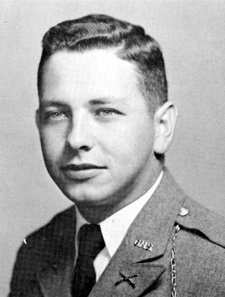 Read more about John Thomas Kelley, Jr.
Cecil Arlington "C.R." 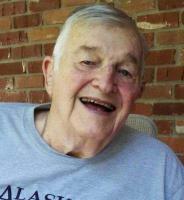 Treadway 80, of Clarksville, IN formerly of Scarbro, WV died on Wednesday, October 15, 2014 at his home. He was born March 15 1934 in Scarbro, WV the son of the late Cecil H. Treadway and Beulah Frances "Booie" Miller Treadway Smith and stepson of the late Charles W. Smith. C.R. 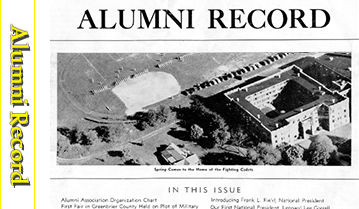 graduated from Greenbrier Military College, and was an active alumni. He was a US Army veteran. He retired from the University of Louisville in 1999, and was a diehard Cardinals fan. He was also an avid golfer. He is survived by his loving family which includes his wife, Patricia A. "Patty" Bowyer Treadway; daughter, Lisa Francisco and her husband, Gerry of Clarksville, IN, son, Craig Treadway and his wife, Theresa of Jeffersonville, IN; and 3 grandchildren, Courtney Francisco, Ian Francisco, and Chandler Treadway. Funeral services will be on Monday, October 20, 2014 at 12:00 P.M. at Tyree Funeral Home in Oak Hill with Rev. Paul Neal officiating. Burial will be at High Lawn Memorial Park, Oak Hill, Friends may call from 10:00 AM until service time on Monday at the funeral home. Donna, George's wife, has reported his passing in Houston, TX. 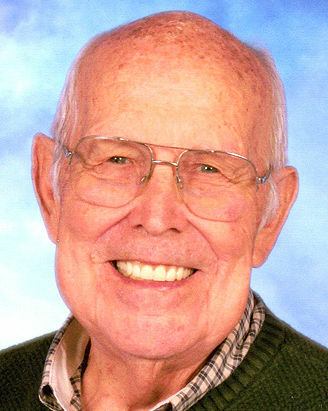 Fred Leslie Ray, Jr., 91, passed away Thursday, September 18, 2014 in Louisville, KY. He was a broadcast engineer for WAVE TV and Radio with over 40 years of service, a graduate of Greenbrier Military School, an Army Air Corps veteran of WWII and a member of Okolona Church of Christ. He was preceded in death by his son-in-law,Thomas Proffitt. He is survived by his wife, the former Allene Moore; children, Keith Ray, DMD (Teresa), Cheryl Robinson (Daniel) and Cindy Proffitt; and grandchildren, Sarah Joiner (Kenneth),Sallie Proffitt, Timothy (Nicole) and Andrew Robinson,and Austin and Logan Ray; and great grandchildren, Katheryn and Anastasia Robinson. His family greatly appreciates the skilled and compassionate care given by the staff at Glen Ridge Health Campus and Dr. Sheth. His funeral is 1pm Saturday at Fern Creek Funeral Home, 5406 Bardstown Road Louisville, KY with burial in Cave Hill Cemetery, Louisville. Visitation is 3-8pm Friday and after 11am Saturday until the time of the service. 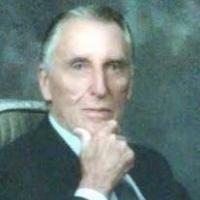 Lester Wade "Cappy" Burnside, Jr., 80, died Saturday, August 30, 2014, after a period of failing health. Burnside was the driving force in Harrison County's successful effort to attract the Federal Bureau of Investigation's CJIS division. He had just taken office as President of Harrison 2000 in January 1990 when Senator Robert C. Byrd asked West Virginia communities to prepare for FBI teams which would be looking for possible sites. Burnside quickly searched for appropriate locations with the result that Harrison County submitted four sites for consideration. 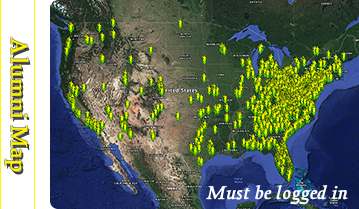 Three other counties also submitted sites. At the same time, he established a rapport with FBI officials and, in the ensuing months, worked constantly to overcome numerous obstacles. In January 1991, Senator Byrd announced the FBI's decision to relocate to Harrison County, cheering news to this depressed area. For most of his adult life, Cappy Burnside was involved in community concerns. He served a two-year term as President of the Harrison County Chamber of Commerce beginning in 1988. In 1985, he had initiated the Blue Ribbon Committee of the Chamber to unify economic development efforts. This grew into the Joint Committee for Economic Development, which eventually incorporated as Harrison 2000. Burnside's interests and contributions to the community were varied and numerous: West Virginia Life Science Center, Board of Directors; Association of Industrial Development, Board of Directors; Clarksburg Industrial Development Corporation: President, 1989-1990; Miss West Virginia Scholarship Pageant: President, 1979; Builders' Supply Association of West Virginia: Board of Directors, 1965-1991; President, 1969; Boy Scouts of America, Central West Virginia Council: Board of Directors; North Bend Rails to Trails Foundation: Advisory Board; American Society of Highway Engineers, Central West Virginia Chapter: President, 1989; Mon Valley Tri-State Network; Mountaineer Country Travel Council: Board of Directors; Clarksburg Planning and Zoning Commission: Member, 1963-1978; The Oak Mound Bank: Board of Directors, 1976-1982; Salvation Army Advisory Board; Black Diamond Girl Scout Council: Board of Directors; Clarksburg Kiwanis Club: President 1969-1970. From 1992 until 2006, Burnside was a board member of the Friends of West Virginia Public Radio, which he served as chair in 1995 and then as treasurer. He proudly displayed a mounted pipe labeled Peacemaker to commemorate his ability to solve a difficult situation. 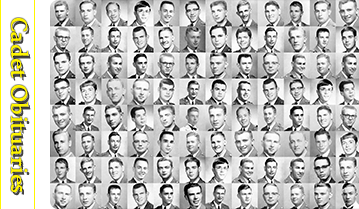 The Route 279 bridge over I-79 will be dedicated in his honor on September 26, 2014, in recognition of his efforts to attract the FBI to Harrison County. In October 2010, Governor Joe Manchin III named him a Distinguished Mountaineer. In 1996, the Harrison County Chamber of Commerce recognized Burnside's outstanding service to the community with special recognition of his FBI efforts. The Society of Highway Engineers selected him Man of the Year in 1988. When he retired from the Planning and Zoning Commission after fifteen years of service, the Commission published a proclamation expressing appreciation for his "dedicated, unselfish, and invaluable assistance." Burnside was president and treasurer of Consolidated Supply Company, which he closed in 1992. In recent years, he was a consultant to building supply firms, specializing in materials for highways and bridges. Born in Clarksburg on January 30, 1934, his parents were the late Lester W. Burnside and Louise Nowery Burnside. 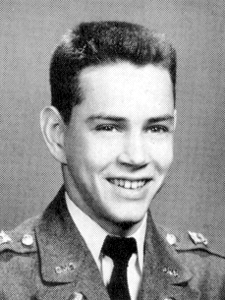 He graduated from Greenbrier Military School in Lewisburg in 1951, where he developed leadership skills and and the code by which he lived: Truth Duty Honor. 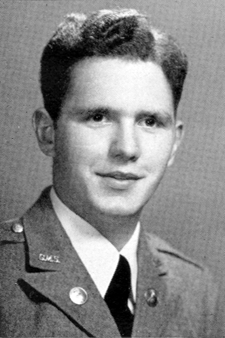 He was a 1955 graduate of West Virginia University, where he was a member of Delta Tau Delta Fraternity and Scabbard and Blade, military honorary. 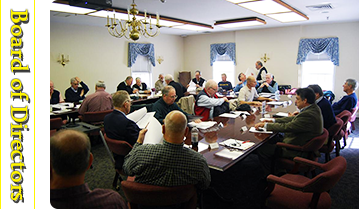 He was a Life Member of the WVU Alumni Foundation and was inducted into the Emeritus Club in 2005. 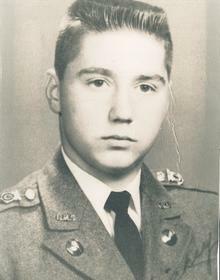 He served in the United States Army for two years and retired as a captain in the United States Army Reserve. He leaves his wife, Carolyn Reynolds Burnside, with whom he had celebrated fifty-eight years of marriage; two daughters, Kate Burnside, Nizwa, Sultanate of Oman; and Mary Wade Triplett and her husband, Arnold Sennett Triplett, Bridgeport; his grandson, Patrick William Sommerville Finley and his wife, Kristen and their son, Evan, Palmyra, N.J.; his sister, Barbara Burnside Wood, Montgomery Village, Md. ; his stepsister, Mary Frances Gaylord Loy and her husband, John, Clinton, N.Y.; and several nieces. He was preceded in death by his sister, Mary Ann Burnside Browning; his parents; his stepmother, Helen Sayer Burnside; and his loving labradoodle, Bert. 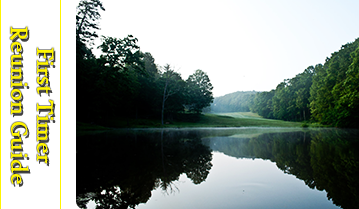 The Burnside family was among the earliest settlers of Good Hope, southern Harrison County, arriving in 1797. 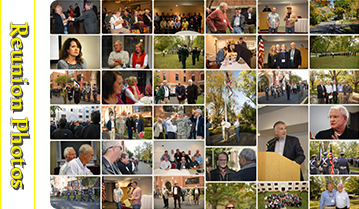 A memorial service will take place at a later date, after which the family will receive friends at a luncheon. Although Cappy Burnside chose cremation, his spirit will be at the party. Rather than flowers, please make memorial donations to the Friends of West Virginia Public Radio or to a charity of choice. OAK HILL — J. Ike Brown, 90, a lifelong resident of Fayette County, died Thursday, Aug. 7, 2014, at CAMC Memorial Division surrounded by his devoted family and loving friends. The Rev. Stan Holmes administered last rites. Born in Gauley Bridge, W.Va., Aug. 15, 1923, the second son of Minnie McCutcheon Brown and Guy D. Brown, Ike had been a resident of Oak Hill since 1950. 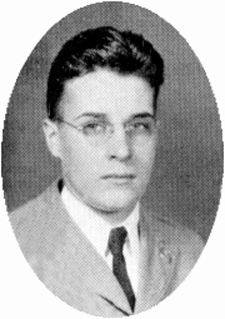 He attended Gauley Bridge schools before graduating from Greenbrier Military School, class of 1941. 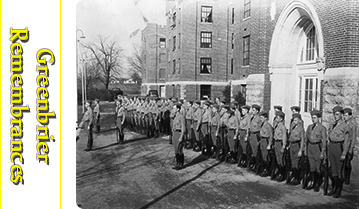 After one year at the University of Tennessee he enlisted in the United States Army in August of 1942. 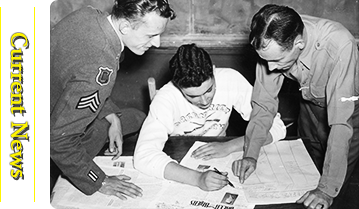 As a member of the “Greatest Generation,” Ike was proud of his World War II military service. He was in one of the last cavalry regiments with horses before being transferred to the infantry where he served in the Philippines and New Guinea and participated in the Allied Forces' occupation of Japan in 1945. He was awarded the Bronze Star and the Purple Heart. 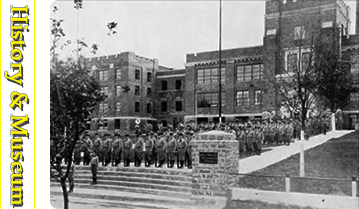 After the war Ike joined the family automobile business founded by his father in 1914, Brown Chevrolet Company in Montgomery and King Coal Chevrolet Company in Oak Hill. He was a former member of the Board of Directors of Merchant's National Bank in Montgomery, the Oak Hill Rotary Club, the Gauley Bridge Masonic Lodge and a member and former trustee of the Oak Hill Baptist Church. His wife of 58 years, Mary Irene Kirby Brown, preceded him in death, as did his grandson, Scott McCutcheon Brewer, and his brother, Gordon B. Brown. Survivors include his two daughters, Debra Brown Brewer and husband, Michael, of Fayetteville and Rita Brown DeAth and husband, William, of Fayetteville; grandchildren, Matthew Ike Brewer, John Kirby Brewer, Phillip Lee DeAth and Bailey Irene DeAth; and great-grandson, Keelan Montani Brewer. In keeping with his wishes there is no visitation or service. The Committal of Ashes will be in the Gauley Bridge Baptist Church Cemetery. Amy McGovern 410-552-5213 has informed the Association of Joe's passing. No detail available at this time, but hopefully an obituary will be available in the near future. 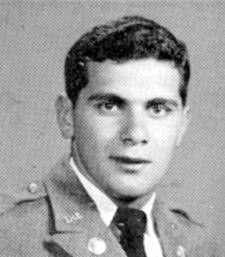 Anthony Samuel “Tony” Georgiana Jr., 80, of Carmel , NY formerly of Indiana, passed away peacefully at home surrounded by family Sunday, July 13, 2014. Born in Uniontown on May 28, 1934, he was the third son of Janie (Casio) Geogiana and Anthony Samuel Georgiana Sr.
Tony had a strong business sense, with an extensive knowledge of the produce industry. He owned and operated The Hitching Post Farm Market in Indiana for many years, and was an admired and respected businessman. However, his true passion was for his family. Tony was loved by many. He was an extremely devoted husband, father and grandfather. To his wife, he was lovingly known as Sonny; his children, Dad; and his grandchildren, Poppy. He is survived by his sons Kevin, of Indiana; Paul (Donna) of Austell, GA; David (Meg) of Kennett Square; and Anthony III (Mary) of Carmel; the following grandchildren: Jennifer, Brittany, Breanne, Jason, Jacqueline, David, Michael, Shalonda, Amanda, Kevin Jr., Katie and Mitchell; and the following great-grandchildren: Anthony, Quentan, Kayla, Aubrey, Dylan, Beckett, Avery, Nicholas, Christian, Jacob, Zachary, Miranda, Taylor, Kayley and Addilyn. Tony was preceded in death by his grandson, Dustin Georgiana: his wife, Pearl (Sloboda) Georgiana; and brothers Samuel C. Georgina and Joseph F. Georgiana. Visitation will be from 2-4 and 6-8p.m. Thursday at the Rairigh-Brence Funeral Home Inc. of Indiana. A funeral service will be held at 10 a.m. Friday at the funeral home. President Bill Isbister notes "no one could play taps like Tony---you knew immediately when he was the one assigned". Family has informed the Association of Jeff's death. Read more about Jeffrey Lynn Hood, Sr.
Sam's family has notified the Association of his death. No details are available at this time. Samuel Dunlap Brady III passed away July 8, 2014, at Summersville Regional Medical Center after a long battle with pulmonary fibrosis. He was born June 12, 1931, in Morgantown. He was the son of the late Margaret Vaughan Brady and Samuel Dunlap Brady Jr. He is survived by his wife of 59 Years, Blanch Bergdoll Brady; four children, Margaret Alice LeRose (Tim) of Summersville, Samuel D. Brady IV (Brenda Sparks) of Sugar Land, Texas, Ann Marie Bishop (Greg) of Hampstead, N.C., and Vaughan Lee Adkins (Todd) of Lexington, Ky.; and his sister, Clarissa Mahin (Phil) of Summersville. He was preceded in death by one sister, Margaret "Peggy" Cline, who was married to Jack, of Summersville. The Brady family is grateful to his caregiver for the last three-and-a-half years, Rodney Woods. Sam had 11 grandchildren, Kristina Elkins (Terry) of Charleston, Maria Herndon (William) of Lexington, Ky., Timothy LeRose II (Ashley Woods) of Summersville, Samuel Brady V of Houston, Texas, Mark Brady of San Marcus, Texas, Matthew Brady of Sugar Land, Texas, Sarah Cole (Aaron) of Sugar Land, Texas, Mason Bishop of Morgantown, Andrew Bishop of Hampstead, N.C., and Evan and Nathan Adkins, both of Lexington, Ky. He also had four great-grandchildren, Addison and Benjamin Elkins, Timothy LeRose III and Elijah Cole. Sam graduated from Greenbrier Military School and West Virginia University, where he received a degree in mining engineering. While at West Virginia University he was active in campus activities. He was a member of Sigma Nu Fraternity, ROTC, the rifle team and lettered in track for five years, running the high hurdles. 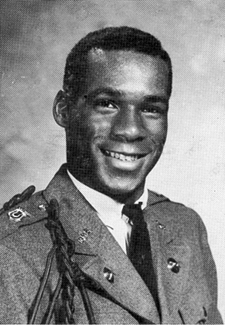 After graduation he served as second lieutenant in the U.S. Army at Redstone Arsenal in Huntsville, Ala. He was in charge of setting up the first maintenance shop for guided missiles, for which he received a letter of commendation. Sam was part owner and president of Margaret Peerless and Brady Cline Coal Companies. Upon retirement he opened the Friendly Computer Store in Summersville. He served as advisor for Community Trust Bank for many years. In the 1970s he coached the Summersville Little Bear football team. He was also a member of the Summersville Lions Club. Sam was a charter member of Summersville Presbyterian Church, for which he was clerk of the session for many years. While Sam had an incredible journey in this life on earth, those who knew him were struck most not by all of his accomplishments, but by his being a gentleman first and last in all aspects and a brilliant man who never lost sight of his God, wife and family. In lieu of flowers, the family suggests contributions be made to the Summersville Presbyterian Church, P.O. Box 930, Summersville, WV 26651. Visitation with family and friends will be 6 to 8 p.m. Friday, July 11, at White Funeral Home, Summersville. The funeral will be officiated by the Rev. Greg Kupar at 11 a.m. Saturday, July 12, at Summersville Presbyterian Church. Condolences may be sent to the family at www.whitefuneralhomewv.com. 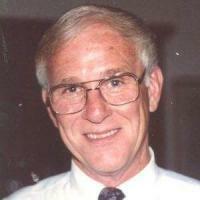 Thompson Briggs Haggin, 70, passed away July 4, 2014. Tom was born September 25, 1943, at St. Joseph Hospital in Lexington, KY, to Lewis K. Haggin, a local horse trainer and farmer, and Charlotte B. (Haggin) Johnson. 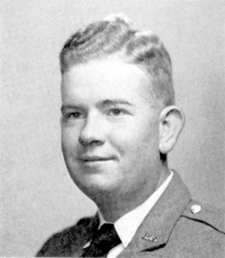 He is survived by his wife of 46 years, Peggy Ann Haggin; son Thompson Briggs Haggin, Jr. (31); brother, John Haggin of Lexington; twin sister Artemisia Anderson and younger sister Julia (Haggin) Bonkowski, both of Michigan. 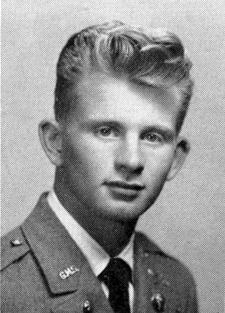 Tom graduated from Greenbrier Military School in 1962 and was drafted into the military while attending the University of Kentucky. He served in the Marine Corps for 12 years where he achieved the rank of Gunnery Sergeant. Tom was a Drill Instructor at the Marine Corps Recruit Depot in San Diego, California. He loved to share with family and friends the stories of his time as a drill instructor. Tom later owned and operated Track Services, Inc. for 39 years, a company that provides computerized timing equipment for the auto racing industry. Tom was very privileged to be employed in a business he loved. Four years ago, Tom accepted the amazing grace of Jesus Christ and was baptized at Southland Christian Church. Visitation will be at Milward Funeral Directors, 159 North Broadway in Lexington from 5-8 pm Tuesday. Funeral Services will be held Wednesday at 11 am at Church of the Savior, 1301 Brannon Road in Nicholasville with the burial to follow at Lexington Cemetery. Tom loved music. Family has notified the Association of Pat's passing, but provided no detail or an obituary. Stan “Epa” Combs, 78, died Wednesday, April 2, 2014 in Wake Med Cary Hospital in Raleigh, NC. Stan was born in Charleston, WV to the late Samuel Morris Combs and Freda Maynard Combs. He attended his beloved Greenbrier Military School in Lewisburg, WV. 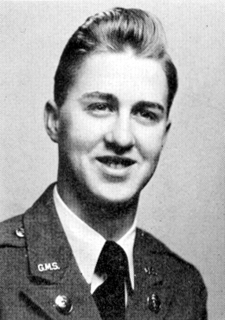 He was a 1956 graduate of GMS and was the Battalion Commander, the highest ranking student in the Cadet Corps. Stan then attended The Citadel of Charleston, SC. He married Betty Jean Olearcyzk of Charleston, SV. Stan was employed with North Carolina National Bank and later retired from Lowe’s Home Improvement Store. 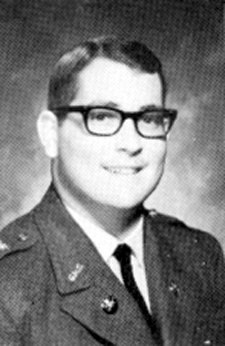 He was a member of the Greenbrier Military School Alumni Association. He served in the Rotary Club and was named a Paul Harris Fellow. Stan was a caring friend and a loving father and grandfather. He is survived by his two daughters, Dedriah Combs Simpson of Cary, NC and Kevine Michelle Phelan and husband Bryan of Holly Springs, NC; his son, Samuel Martin Combs of Greenville, NC; grandchildren, Eryn Simpson and Patrick and Christopher Phelan; and his sisters, Mary Lou Stockard and husband, Bill, of Nashville, TN, and Suzanne Pyle of Madison, WI. A memorial service will be held at a later date at Calvary Methodist Church in Lewisburg. The family would like to express their gratitude for the wonderful care given by Rex Healthcare, Rex Home Services, Uni Health Post-Acute Care, and Raleigh and Wake Med Cary Hospital. A special word of thanks goes to the support and care given by Peggy Scott, RN, who was always there for our dd. He called her “His Angel”. In Lieu of flowers, memorials are requested to the GMS Alumni Association, P.O. Box 922, Lewisburg, WV 24901-0922, or to the Calvary Methodist Church in Lewisburg, WV. Condolences may be made to www.montlawn.com. LEWISBURG — Lt. Col. Retired Louis E. Longanacre, 83, of Lewisburg, died Tuesday, April 1, 2014, at The Brier following an extended illness. Born Aug. 22, 1930, at Sinks Grove, W.Va., he was the son of the late Delmer and Kate Blake Longanacre. He was a graduate of Greenbrier High School, Greenbrier Military School and West Virginia University with a BS degree in Agriculture. He served 28 years in the U.S. Army. 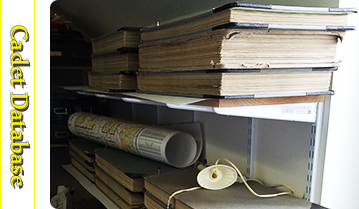 Overseas assignments included Germany, Korea, Panama Canal Zone and two tours in Vietnam. 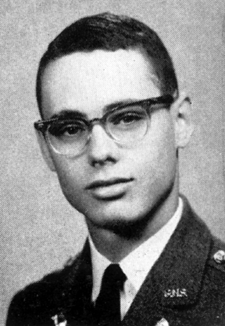 His awards and decorations included Legion of Merit, Meritorious Service Award, Bronze Star, Air Medal with three oak leaf clusters, Army Commendation Medal with two oak leaf clusters, Combat Infantryman’s Badge, Army General Staff Identification Badge, Vietnam Campaign Medal, Vietnam Armed Forces Campaign Medal, Vietnam Armed Forces Medal of Honor and the Korean IN HUN Medal for combat. He served 20 years as Greenbrier County magistrate. He was active in the American Red Cross, Lewisburg Lions Club, Maxwelton Ruritan Club and served on the Advisory Board at the Brier Nursing and Rehabilitation Center. He was a member of the Lewisburg United Methodist Church. He was preceded in death by a brother, James. 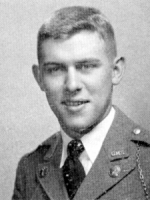 He is survived by his wife of 57 years, Vivian M. Longanacre of Lewisburg; a son, Edwin (Maureen) Longanacre of El Paso, Texas; a daughter, Charlotte Longanacre and companion, Larry Thrasher of Sinks Grove; brothers, John (Becky) Longanacre of Fort Springs, Paul (Linda) Longanacre of Sinks Grove and Sam (Becky) Longanacre of Belpre, Ohio; sisters, Norma Jean Wolford of Wytheville, Va., Joyce (Pat) Stokes of Monet, Va., Eloise (Larry) Vass of Monet, Va. and Ruth Ann (Don) Assaid of Roanoke, Va.; grandsons, Benjamin (Sarah) of Lake City, Fla. and Michael of Lafayette, La. ; great-grandsons, Trevor and Cayson; and many nieces and nephews and his devoted dogs, Ashley and Ebony. Services will be 11 a.m. Saturday, April 5, 2014, at McCraw Funeral Home in Lewisburg with the Rev. Rick Brown and Doug Fisk and Lynn Randolph officiating, with burial following at Sinks Grove Baptist Church Cemetery with full military honors. Visitation will be 6 to 8 p.m. on Friday at the funeral home. Pallbearers will be Wes Hylton, Perry Pauley, Roy Bowden, Brian Carter, Mike Dolan and Jim Reynolds. Honorary pallbearers will be members of the Lewisburg Lions Club and the Maxwelton Ruritan Club. Arrangements by McCraw Funeral Home, Lewisburg. James Jack "Mickey" Sharkey, 71, of Bakers Ridge Road, Morgantown, passed away early Wednesday morning, February 26, 2014 at Monongalia General Hospital. 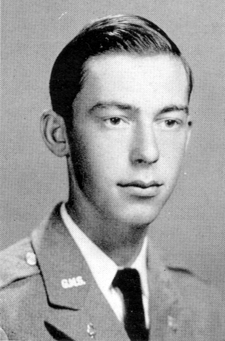 He was born in Morgantown on July 28, 1942, a son of Agnes Wilson Sharkey with whom he made his home, and the late James George Sharkey who preceded him in death in 1994. He attended the Greenbrier Military School in Lewisburg, WV where he was active in sports and a natural leader in his class and was Lutheran by faith.
. Mickey will be remembered as a kind and gentle soul, and will be missed by everyone who knew him. In addition to his mother, survivors include his sister and brother-in-law, Arlene and Charles "Bud" Gamble of Morgantown; two nieces, Marcie Hecker and her husband John of Parish, FL, and Kim Roy and her husband Gary of Mt. Morris, PA; a great-nephew, Michael Fioravanti of Ft. Myers, FL; an aunt, Brenda Corbin of Morgantown; and a cousin, Lori Brennan, her husband Steve, and their four children of Morgantown. Family and friends will be received at Hastings Funeral Home, 153 Spruce St., Morgantown, on Friday, February 28th from 5-8 PM and again on Saturday, March 1st from 10 AM until the time of the funeral service at 11 AM with Pastor Jerry Kliner of St, Paul Lutheran Church officiating. Interment will follow in the East Oak Grove Cemetery. In lieu of flowers the family requests that contributions may be made in Mickey's name to the Monongalia General Hospital Foundation, 1200 JD Anderson Dr., Morgantown, WV 26505 or St. Jude Children's Research Hospital, 501 St Jude Place, Memphis, TN 38105. The family would like extend their sincere appreciation to the nurses and staff of the Monongalia General Hospital’s 6th floor, Intensive Care Unit and Emergency Department for their care and compassion, and to his caregiver Robin Ware for her care and support to both Mickey and his mother. Daughter Ann has informed the Association of her father's passing. Mary Anne Loy, Tom's sister has notified the Association of her brother's death. No other information was provided. 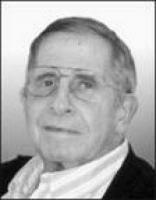 Robert M. Reider, 85, died February 11, 2014. Born in Akron, he was the son of Gertrude and Marvin E. Reider. He was a graduate of Greenbrier Military School in Lewisburg, WV and attended Kent State University. 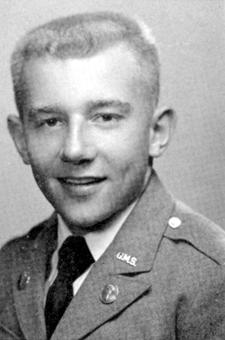 Robert was a U.S. Air Force veteran of the Korean War. 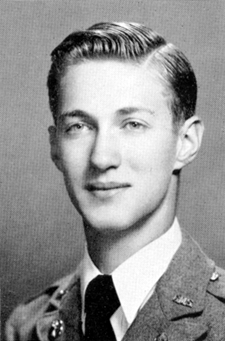 Preceded in death by his parents and his grandson, Nicholas Jordan, he leaves his loving wife, Rita; daughter, Susan (Mike) Rudolph; son, Robert (Barbara) Reider, Jr; loving granddaughter, Elisabeth Jordan; sister, Marjorie (George) Mortimer; and nephew, James (Pauline) Mortimer. As a young man, Bud worked on the Maymead Farm and after college was in charge of the Maymead Block plant in Boone, NC for 25 years. In 1980 he advocated that the company go into the asphalt and road paving business. At the passing of his uncle, Mr. J. B. Mount, Bud Mount became the president of Maymead, Inc. 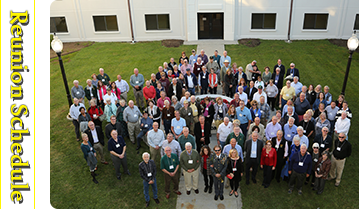 Bud was a member of the Tennessee Road Builders Association and the North Carolina Aggregate Association. He grew up in Pleasant Grove Baptist Church; attended First Baptist Church of Mountain City and was a member of First United Methodist Church, where he attended the United Methodist Men (UMN) and the Open Door Sunday School Class. Bud has many hobbies over the years. He first became interested in flying airplanes. He late owned his own airplane and attended a club of area fliers. He loved horses and carriages and had owned a beautiful pair of Halflinger horses and carriages. One carriage belonged to his grandfather Dr. W.W. Vaught. The other carriages were made by an Amish carriage maker in Pennsylvania. Bud had a horse van and transported the horses to various parades and showing them in antique car shows. He would often attend the East Tennessee Antique Car Club.. Through all the other modes of transportation, Bud had a motorcycle , a Harley Davidson. He love riding his Harley. Although Bud had several hobbies over the years, his main interest was his business , Maymead. He was up and out by 7 o’clock each morning, eager to face the day. He looked forward to seeing and talking to everyone with whom he came in contact. In earlier years, he also belonged to the Rotary Club in Boone, NC and was a member of the Taylorsville Masonic Lodge # 243 AF&AM , Scottish Rite and the Shriner's Jericho Temple. 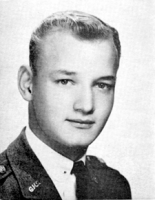 Bud is survived by his wife of 42 years, Kathleen Scott Mount; two sons, Christian K. Mount II and his wife Melanie of Lynchburg, VA and Thomas B. Mount of Jefferson City, TN; two grandchildren, Christian K. Mount III and Hannah Mount , of Georgetown, OH; sister Mary M. Roark of Johnson City, TN; Nephew Wiley B. Roark and wife, Caroline of Mountain City, TN ; niece Mary Dawn Hewitt and husband Joe of Cornelius, NC ; one great niece, Mary Katherine Harbin and husband, John; three great nephews and a very special friend, Sam, his beloved Corgi. Private Graveside Service and Internment will be conducted on Tuesday, February 11, 2014, at the Mount Family Cemetery. Harry Mack Childress, 63, of Roanoke VA formerly of White Sulphur Springs, WV passed away Saturday, January 18, 2014 after a short Illness. Born August 17, 1950, in White Sulphur Springs, WV, he was a son of the late Owens and Mary Childress. Harry graduated from the former Greenbrier Military School in Lewisburg, WV., and he also attended the police academy and became a police officer in White Sulphur Springs and also served on the rescue squad. While living in Roanoke, he was employed with Wells Fargo. Survivors include his son, Brandon; daughter, April ; two sisters Deborah Johnson and Phyllis Davis; and two brothers, Owen Childress and Richard Childress. Harry also was a grandfather and great grandfather. He is also survived by several nieces, nephews, cousins, and a host of friends. Visitation will be held Sunday January 26, 2014 at St. James United Methodist Church in White Sulphur Springs, with burial to follow in Greenhill Cemetery. Dr. John L Parsons (Jack), 79, passed away January 4,2014 from a sudden illness in Ft. Meyers, Florida. Jack was born March 24, 1934 in Huntington, WV. to Dr. John Y. Parsons, a dentist , and Helen Parsons. 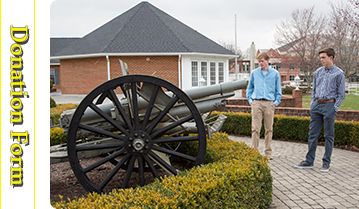 He spent his freshman year in college at Greenbrier Military School in Lewisburg, WV and completed his undergraduate degree a Denison University in Granville, OH. He was a grand master of the Kappa Sigma Fraternity , and President of Inter-fraternity Council. 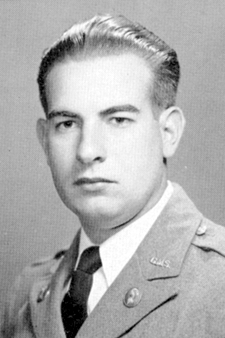 Jack served with The United States Marine Corp as a Captain from 1953-1958. He was a jet pilot for the photographic squadron. Being a marine was one of his proudest accomplishments. Jack met Sue, his wife of 53 years while at Denison University. He then attended Dental School at Indianapolis University. Jack and family moved to Fort Myers in 1970 where he was a well respected dentist for 30 years. 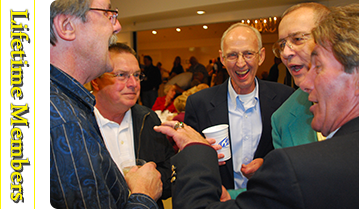 Jack was a person who made a profound impact on family and friends. His interests were golf, tennis, skiing, and watching football (especially the Florida State Seminoles). He is survived by his loving wife, Sue,; daughters Kimberly (Chris) Peterson; Kelli (Alan) LeBlanc; Holly (Ron) Wademan; grandchildren Steven; Eric; Morgan; Cameron;Corinne;Lindsey; Connor; and Chloe; Sister, Patty (Thad) Hogan; Brother in law Richard (Carole) Shanley and extended family. A celebration of Life and reception will be held at 11 am Friday, January 10th at Covenant Presbyterian Church . Interment will be at Fort Meyers Memorial Gardens at 3 pm. Warren Walton Langston , Je., 78, died peacefully at Hospice House in Pinehurst, NC on Friday, December 27, 2013. Born in Washington DC, he was the son of Warren W. Langston, Sr. and Aerial D. Langston. Warren was married for over 30 years to Carolyn Wade Langston. 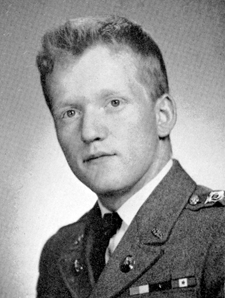 He was a graduate of Blair High School, Silver spring MD, ; greenbrier Military School , Lewisburg, West Virginia. 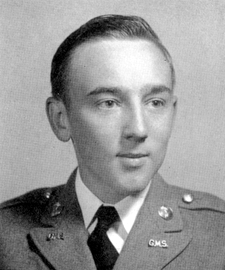 For his college education, he attended George Washington University , Washington, DC and a member of the U S Army. Warren was an architect and graphic artist by profession working for Fairchild Hillar, Booze Allen and Hamilton and The Rouse Company in Maryland prior to founding his own firm in 1975. In 1980 Warren and his wife established a business together and were partners until their retirement to Pinehurst in 1997. Also surviving is a son by a former marriage ; both his parents and his only daughter, Susan Langston, preceded him in death, she at age 17. A celebration of Life for friends and family will be held on Sunday, January 19 at 3pm, 10 McDonald Road East, Pinehurst. All flowers will later be donated to the First Health Hospice House for their residents to enjoy or, in lieu of flowers, memorials may be made to First Health Hospice in Pinehurst, NC.